Dave lived in Lexington (KY) long enough to become a Wildcat fan (age 1), lived in Downers Grove (IL) long enough to become a Cubs fan (age 5), and lived in Ames (IA) long enough to learn how to walk beans and de-tassel corn (age 18). As a young man, he went west to Stanford (CA), where he studied economics (BA), industrial engineering (MS), and Bible (in InterVarsity). He witnessed “The Play” where the Cardinal band came on the field after the Cal player’s knee hit the ground (before lateraling the ball). 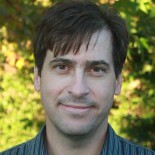 He served on staff with InterVarsity (1986-1999) at Claremont, Redlands (CA), and Penn (PA). Against her better judgment, Shannon agreed to marry him (1991), and together they created Nathan and Noah. One can never have enough advanced degrees, so he got an MDiv (Fuller Seminary), an MPhil and DPhil (University of Oxford). From 2006 to 2018, he taught Old Testament at Biblical Theological Seminary, but in October of 2018, he started teaching at Missio Seminary (because Biblical changed its name). He is now the Dean of the Faculty and the Allan A. MacRae Professor of Old Testament. He loves to give others a love for God’s word. The Historical Writings: Introducing Israel’s Historical Literature (Fortress, 2016; co-authored with Mark Leuchter). 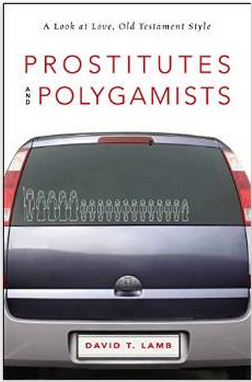 Prostitutes and Polygamists: A Look at Love, Old Testament Style (Zondervan, 2015). 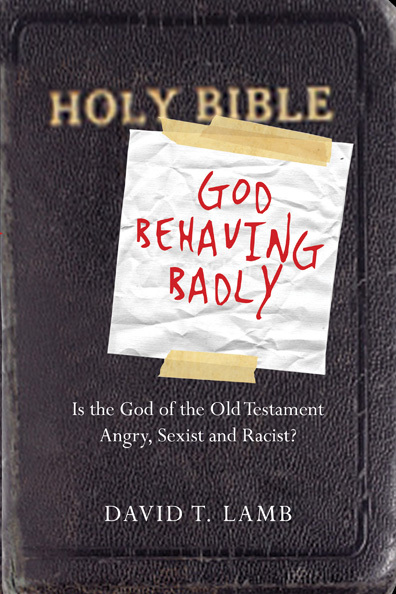 God Behaving Badly: Is the God of the Old Testament Angry, Sexist and Racist? (InterVarsity, 2011). Translated into Korean and German. Righteous Jehu and his Evil Heirs: The Deuteronomist’s Negative Perspective on Dynastic Succession (Oxford, 2007). And contributed many articles to other books: click here. Thank you so much.I wish that I could study with you. Please write more books that a highschool drop-ou such as I can understand. I think you would like this TED talk, given your love of Old Testament! Cindy, Thanks for the TED talk link. It’s great. I’ll use it in class. Dave, thanks for your fantastic book! I noticed the issue with your heart. I heard Joel Fuhrman lecture yesterday in Denver on his new book Super Immunity. Health and blessing to you and yours! I live in Taiwan and bought your book recently while simultaneously doing a study in Joshua. After finishing it, I can say it’s an incredible book! The majority of the responses are concise and very sensitive to the issues. Some of the answers just blew my mind. I’ve recommended you as a guest on the Unbelievable? radio program in the UK. Hope you don’t mind! Last fall, I had the privilege of reading God Behaving Badly, I really liked it. I have actually been using it as an aid to teach high schoolers about the complexity and character of God. Currently we are talking about violence vs peace and as I was re-reading chapter 5 of GBB I was curious as to what you thought about the story of Noah. Would you argue that God killing off all humans, save Noah and his family, was preserving peace, as Gen 6:13 says “…the earth is filled with violence…”? I guess it still doesn’t sit to well with me but as I am not a biblical scholar, I was curious of the context that I’m missing. Can you shed any light on this? I am Ann (Brown) Ingraham, and when you lived in Ames, I stayed with you and Richard and ? while your parents went to Europe. I married a Foreign Service Officer in 1992, and have lived in Cuba, Romania, Bolivia, Turkey, Bosnia and Jordan, and we have a 14 year old son, Michael. We now live in Arlington, VA. Are your folks still living? I would love to re-connect with them. God has been good to us, and we are members of a new, evangelical Anglican church in DC, All Nations. Nice to see your blog, and will enjoy reading your book, too! God bless you! Good stuff. Greetings from London. I have to admit that I haven’t had a chance to read any of your books yet. I have to ask you a question are you aware of the centuries of Midrash, Torah commentaries, Talmud and other Jewish writings that explain and interpret the “Old Testament”. For example, the Shulchan Aruch says that a man can have more than one wife only if he can treat them all equally, but that would be not be possible? The Hebrew Bible says “an eye for an eye”, but it was reinterpreted almost immediately to mean monetary compensation for an eye. The Hebrew Bible also says “a life for a life”, but the rabbis in the Talmud put so many restrictions on that verse that it became virtually impossible to ever execute anyone. Although, it has occurred to me that God seems like a surprised father whose children didn’t turn out the way he expceted.